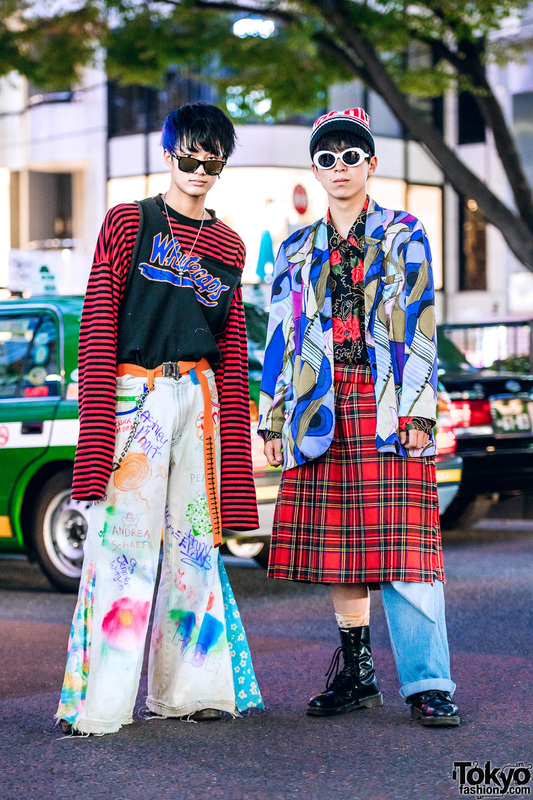 Harajuku duo sporting interesting eclectic outfits with striped turtleneck top, v-neck sweater, plaid sneakers, striped strap pants and pointy teal kitten heels. 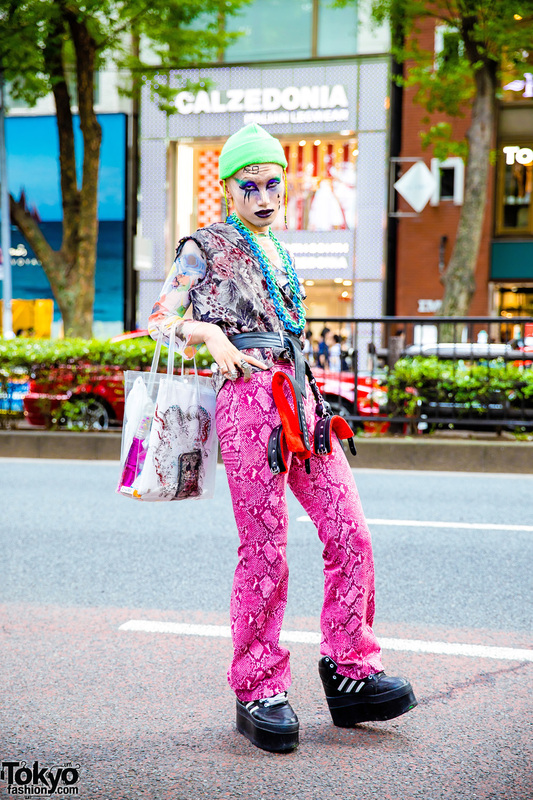 Harajuku girl with colorful hair and vintage street fashion. 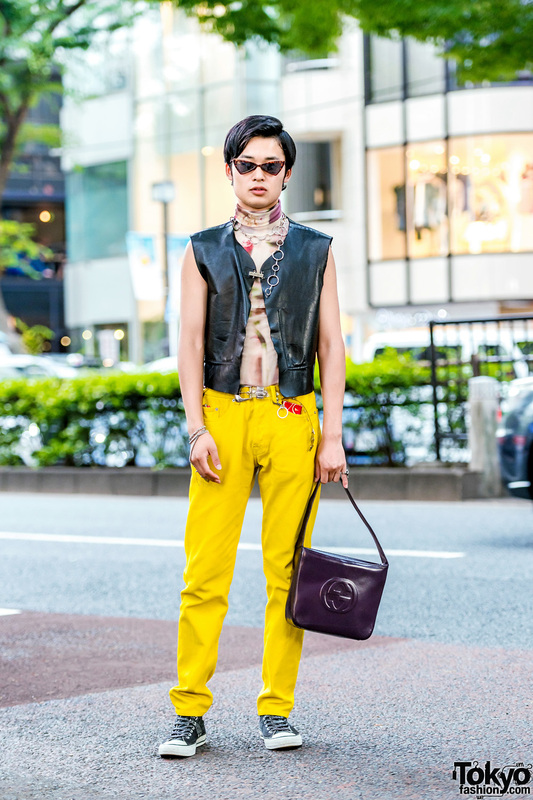 Harajuku student dressed in a leather vest, turtleneck top, mustard yellow pants, sneakers and a purple handbag. Japanese graphic designer in striking streetwear ensemble with layered floral tops, snakeskin pants, platform sneakers and accessories.